The Atiku-Agbaje Media Engagement Network (AAMEN), an organ of the Jimi Agbaje Campaign Organization in Lagos has told the ruling All Progressives Congress, APC and its governorship candidate, Babajide Sanwo-Olu not to be in a hurry in deploying posters and billboards. In a statement on Tuesday by the group’s Executive Secretary, Felix Oboagwina, the PDP boasted that it was equal to the challenge and give the ruling party a run for its money when the Independent National Electoral Commission, INEC, lifts ban on governorship campaign by December 1. The group further asked the INEC to penalize the APC for violating the electoral guidelines by exposing its governorship campaign materials before the set date. It described the display of political posters and boards throughou Lagos as illegal and a display of APC’s usual penchant for impunity, AAMEN asked the Independent National Electoral Commission (INEC) to call the ruling party to order and impose sanctions. “These APC campaign posters and boards show a clear act of impunity. They are illegal, reckless and provocative,” AAMEN said. The group urged the regulating agencies, including INEC and the Lagos State Advertising Regulating Agency (LASAA), to wield the big stick and impose sanctions on the APC Governorship Candidate, Mr. Sanwoolu, and others behind the sponsorship, production and circulation of the billboards and posters. According to AAMEN, any failure by INEC to curb the observed excesses portended a bad signal for the coming elections, as it would be giving the impression that politicians in APC would be treated like sacred cows. On the other hand, sanctioning all those behind this illegality will let the whole world know that INEC will create a level playing field for all contestants, AAMEN posited. INEC schedule stipulates that political campaigns should begin on December 1 for governorship and state houses of assembly polls. “In clear contravention of the electoral timetable and regulations, the campaign boards and posters of the APC Governorship Candidate, Mr. Sanwoolu, and the party’s legislative candidates are being brazenly displayed throughout the state,” AAMEN complained. AAMEN said PDP had elected to play by the rules and urged its supporters to abide by the INEC regulations. “Despite these provocative exhibitions, our party and our candidates shall not join this illegal bandwagon of jumping the gun. And indeed we shall not! PDP in Lagos State will abide by the regulations and play by the rules, not just in the area of publicity but on every other item guiding the 2019 elections,” the group said. 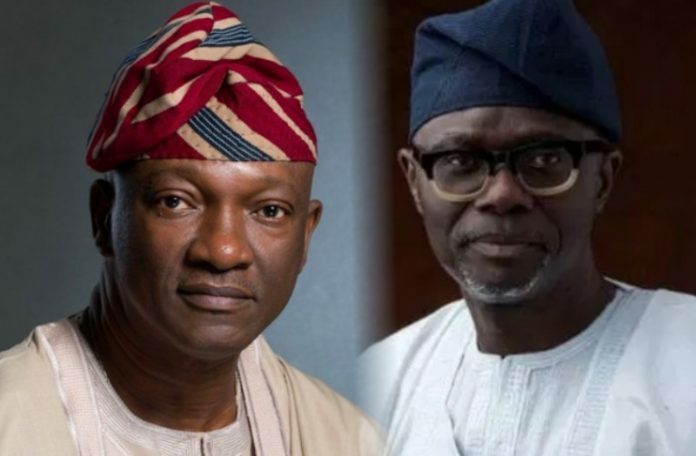 Expressing appreciation to anxious supporters yearning for the party to match APC’s publicity blitz, AAMEN said Mr. Jimi Agbaje would not follow the illegal path that his co-contestant in the rival party had chosen. Furthermore, AAMEN urged its candidate’s teeming members and supporters to keep calm and not to take the laws into their hands by resorting to dismantling APC’s publicity materials on the streets. It said that the relevant agencies should be allowed to discharge their legitimate duty of removing the materials. It accused so-called powerful politicians in the state of being behind the brazenness being witnessed in their wrong notion that they could get away with all sorts of perfidy. I wholeheartedly agree with AAMEN on the subject of discourse.